I love Amazon! Everything you could ever imagine (pretty much) available to you at just a couple of clicks. 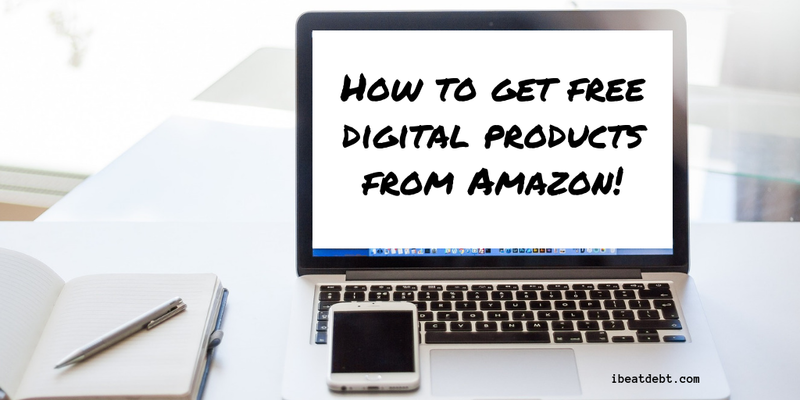 Whilst Amazon Prime has saved many a person’s back with it’s option to get many items available the next day, if you are not in a rush to get the item – you can use this to your advantage and save up for digital products. 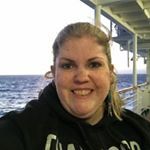 I will show you how to build up your Amazon promotional credit in just a few short steps! The default delivery option is usually free delivery in a pretty quick time, but notice the other options. 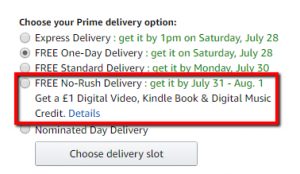 If you choose no rush delivery – you can get £1 of digital Amazon credit. This may not sound like a lot, but it soon adds up, particularly if you order items regularly from Amazon. If you are a Prime Member and postage is not going to cost you extra – you can even order each item separately and get the £1 off every item. I also have found that the “No-Rush” delivery option really doesn’t take that much longer anyway. 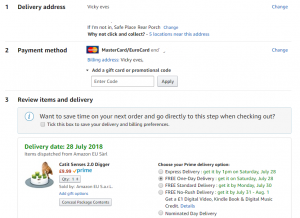 Now I haven’t found a quick way of checking my digital Amazon credit – you can use this link – but that shows music – and you can use it for video as well so I’m not convinced it’s the most accurate way. What I usually do is pop on to the live Amazon help chat. They will check promotional balances across all medias and give you a total. I’ve even had them give me a little extra for having to contact them via chat to check before now. I find that the Amazon live chat help team are usually pretty efficient and I’ve never had to wait long. Yes there can be a little bit of a language barrier – but I’ve always managed to get my issues resolved. 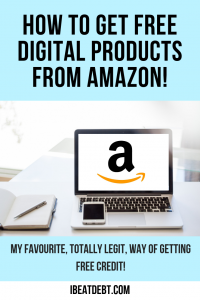 If like me, you don’t have a CD player and only listen to music digitally and even download TV and films – by just waiting a few more days for your Amazon parcels you can earn free stuff! It’s a great, totally legitimate way of building up your credit for that next movie or album download that you’ve been waiting for! I had no idea that this was an option! I’ll definitely look out for it next time I’m ordering something that I don’t need in a rush!